"According to a Wall Street Journal study, there are only 11 minutes of actual football action in an average NFL game." 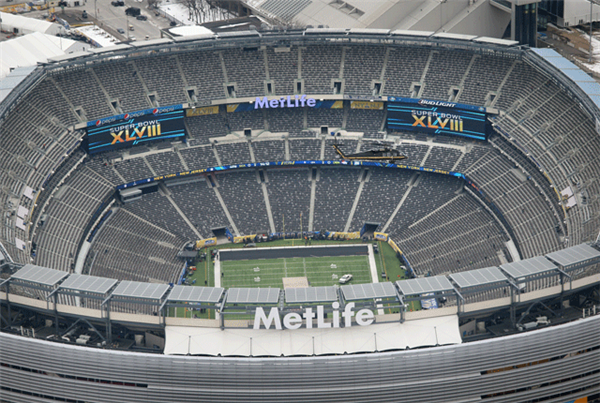 Mental FlossThe Super Bowl is a really long game. If there's a lull in the conversation, you can toss out some of these facts. Already lost..lol...are the superbowl commercials going on during the kickoff??? why this song to introduce the Sea Hawks? ohh i like the horsey! Did anyone find a shortage of Velveeta? I went to Walmart today and found some without a problem. Which Little Pony with that one? Velveeta shortage was completely manufcatured to increase sales. FYI, I made enough chicken wings to go around. Hopefully, somebody brought napkins. I've been "watching" pregame stuff all day with my man now the games about to start & he's snoring away on the couch! Do you stand up at home for the anthem? Not a fan of Opera singing, but nice job! well, she didn't forget any of the words. Is this Kim and Kanye's wedding? They need to do this kind of thing at Awards Shows too. russel crowe as noah. hmmm. not sure about thta. My son just asked if this was video of the real Noah. LOVED operatic anthem. Those high notes! NY Daily News Noah's ark may host two of every animal - but it only needs one Crowe. 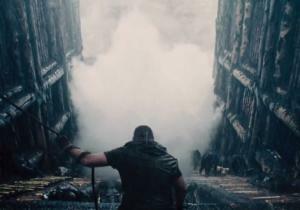 Paramount unleashed a new trailer for "Noah," director Darren Aronofsky's drama of Biblical proportions, days before its scheduled to air during Sunday’s Super Bowl telecast.